This is the result of the European Theatre Technicians Education project (ETTE). The content is based on a selection of ESCO competences (the European Skills, Competences, Qualifications and Occupations classification) and accompanies the European Safety Passport. This course and the passport aim to improve the basic safety competences of everyone working on stage, in theatre as well as in events. The content reflects the vision that safety is a way of living. Everyone on stage, from stagehand up to stage manager, should be able to behave in a safe way, should understand the mechanisms behind working safe and develop a critical safety attitude. In contrast to other safety courses, this book is not focussed on legislation, but on competence, on mastering a safe working practice. It is focused on "being able to" rather than "knowing". We hope this book will support you in achieving our collective goal to make the stage a safer environment. Dies ist das Ergebnis des europäischen Projekts ETTE (European Theatre Technicians Education Project). Der Inhalt basiert auf einer Auswahl von ESCO-Kompetenzen (die Klassifizierung der europäischen Fähigkeiten, Kompetenzen, Qualifikationen und Berufe) und ist dem Europäischen Sicherheitspass beigefügt. Dieser Kurs und der Pass zielen darauf ab, die grundlegenden Sicherheitskompetenzen aller auf der Bühne, im Theater und bei Veranstaltungen zu verbessern. Der Inhalt spiegelt die Vision wider, dass Sicherheit eine Lebensart ist. Jeder auf der Bühne, von der Bühnenhand bis hin zum Bühnenmeister, sollte sich sicher verhalten können, die Mechanismen hinter dem sicheren Arbeiten verstehen und eine kritische Sicherheitshaltung entwickeln. Im Gegensatz zu anderen Sicherheitskursen konzentriert sich dieses Buch nicht auf Gesetzgebung, sondern auf Kompetenz, auf die Beherrschung einer sicheren Arbeitspraxis. Es geht um "fähig sein" statt "wissen". Wir hoffen, dass dieses Buch Sie dabei unterstützt, unser gemeinsames Ziel zu erreichen, die Bühne zu einer sichereren Umgebung zu machen. Dit is het resultaat van het project "European Theatre Technicians Education" (ETTE). De inhoud is gebaseerd op een selectie van ESCO-competenties (de Europese kwalificatie-, competentie-, kwalificatie- en beroepsclassificatie) en vergezelt het Europees veiligheidspaspoort. Deze cursus en het paspoort hebben tot doel de basisvaardigheden op het gebied van veiligheid te verbeteren voor iedereen die zowel op het podium, in theater als tijdens evenementen werkt. De inhoud weerspiegelt de visie dat veiligheid een manier van leven is. Iedereen op het podium, van toneel tot podiummanager, moet zich veilig kunnen gedragen, de mechanismen achter veilig werken begrijpen en een kritische veiligheidsattitude ontwikkelen. In tegenstelling tot andere veiligheidsopleidingen is dit boek niet gericht op wetgeving, maar op competentie, op het beheersen van een veilige werkpraktijk. Het is gericht op "in staat zijn" in plaats van "weten". We hopen dat dit boek u zal ondersteunen bij het realiseren van ons collectieve doel om het podium veiliger te maken. Detta är resultatet av European Theatre Technicians Education Project (ETTE). Innehållet baseras på ett urval av ESCO-kompetenser (European Qualifications, Competences, Qualifications and Occupations-klassificering) och åtföljer det europeiska säkerhetspasset. Kursen och passet syftar till att förbättra grundläggande säkerhetskompetenser hos alla som arbetar på scenen, i teatern och i evenemang. Innehållet återspeglar visionen om att säkerhet är ett sätt att leva. Alla på scenen, från scenhand till scenschef, ska kunna uppföra sig på ett säkert sätt, förstå mekanismerna bakom att arbeta säkert och utveckla en kritisk säkerhetsinställning. I motsats till andra säkerhetskurser är den här boken inte inriktad på lagstiftning, utan kompetens, att behärska en säker arbetspraxis. Det är inriktat på att "kunna" snarare än att "veta". Vi hoppas att den här boken kommer att stödja dig för att uppnå vårt kollektiva mål för att göra scenen till en säkrare miljö. Ran by a partnership of European trade unions, employers’ organisations, and national skills bodies, Creative Skills Europe looks at creating national and European synergies, and at inspiring new types of actions, both at company level and in a collective way at sector level. Its objective is to steer discussions on the evolving skills needs in our sectors and to promote initiatives to respond to those needs. In 2017-2018 four thematic workshops were organised in different European cities on the topics of innovation, HR management, the digital environment and the role of social dialogue. In April 2019, the main outcomes of those exchanges were presented in a publication series. The publications are for the moment available in English. Translations into Czech, English, French, German, Italian and Spanish will be available in the coming weeks. Creative Skills Europe, the European Platform on Employment and Training in the Audiovisual and Live Performance sectors, is a joint project piloted by social partners of the EU Social Dialogue Committees in the Audiovisual and Live Performance Sectors. It was implemented in partnership with national organisations from Belgium, France, Germany, the Netherlands, the United Kingdom and Sweden. 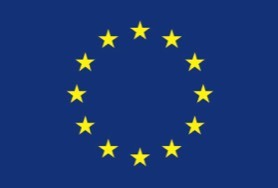 It received financial support from the European Commission. The establishment of a board for the training of assessors and the issue of certificates is planned for October 2018. All results, manuals etc. of this project are freely available. Please click on the desired language on the buttons below. With an open license, you, as the owner of a work, authorize anyone to use these materials. It is up to you, as a project consortium, to decide which licenses you choose and which types of use you want to grant to others. The most common open licenses are currently those of Creative Commons. For technology based products please use an open source license. Also note that the platform on which you provide your products must be openly accessible.